Attending a university involves more than just earning credits. 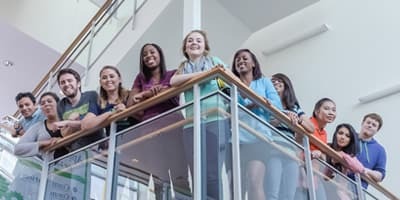 Most students will require some level of assistance during their college journey as well, whether it's with their coursework, overall wellness, or getting involved on campus. The Division of Student Affairs exists to offer this support for all students, with consideration for their academic and personal needs. Enhancing an inclusive and open community in which the contributions of all are valued. 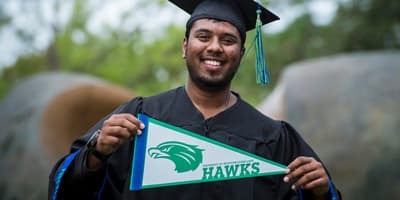 We recognize and are strongly committed to a multifaceted population of students, faculty, staff and community supporters. Responding to the needs of students and visitors with service that is friendly, respectful, helpful and convenient. Providing intentional learning activities and experiences to put into practice theories learned in the classroom and providing a supportive environment for students to build and practice skills that foster professional and personal development. Supporting students' ability to identify values and pursue goals they hold fundamental to successful living. Developing a love of inquiry and learning that students will utilize throughout their lifetimes. Collaborating with faculty and staff to integrate the student development perspective with the academic programs of the university. Encouraging interactions with our partners in the community. Challenging ourselves to continuously explore ways to improve our competencies and services. The Vice President for Student Affairs (VPSA) is the chief student affairs officer and has the primary responsibility for leading the division and its programs, services, and activities to support and enhance the learning environment and contribute to student success. The VPSA reports to the president and serves as a member of the cabinet. 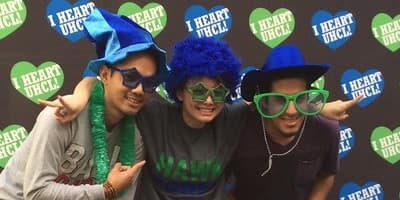 Daniel Maxwell joined the UHCL leadership team in August 2018. He has 30 years of progressively responsible experience in higher education, with previous positions at Syracuse University, the University of Arizona, Western Illinois University, Indiana University Purdue University Indianapolis (IUPUI), and the University of Houston. Maxwell is the past two-term national president of the Association of College Unions International (ACUI), served as the chairperson of the ACUI Educational Research Fund for three years, and currently serves as the ACUI Research Coordinator. He also served on multiple program review/assessment teams for student unions, student activities, and fraternity and sorority life and currently serves locally on the Board of Trustees of the St. Stephen's Episcopal School Houston. Maxwell is the recent recipient of the AVP/Senior Level Student Affairs Professional Award from NASPA Region III (2018) and previously received that James E. Scott Outstanding Mid-Level Student Affairs Professional Award from NASPA from Region III (2016). In addition, he is an active presenter locally, regionally and nationally on student affairs advancement/fund-raising, student affairs assessment, leadership, multiculturalism, Greek Life, supervision, and student unions and construction. A graduate of Syracuse University with a bachelor's degree in personnel and industrial relations, Maxwell earned a master’s degree in higher educational leadership from the University of Miami. He went on to receive his doctorate in higher education and student affairs from Indiana University. Maxwell's research interests include campus ecology, creating purposeful space, and post-occupancy evaluations.